The Ocean Ridge Golf – Leopard’s Chase takes golfers into the par 72, 7,155-yard course layout to experience a challenge like never before. Being the newest course at the Ocean Ridge Plantation, the Leopard’s Chase is being ranked as the Top Cat among the Big Cat Courses namely: Tiger’s Eye, Lion’s Paw, and Panther’s Run. 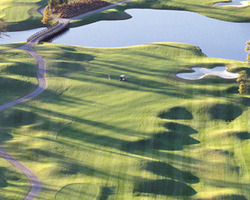 This golf vacation destination was designed by the famous architect Tim Cate. The course features immaculately manicured L-93 bent grass greens and mature TifSport Bermuda grass fairways. With 220 acres of natural coastal terrain, this resort is blessed with scenic landscapes, preserved wetlands, and native grasses rendering beautiful vistas. The Ocean Ridge Golf – Leopard’s Chase has extensive landscape and drainage planning making it look extra ordinary compared to other new golf courses. Because of this, this resort is included in Top 10 Best New Public Courses in America by Golf Digest in 2007. This golf vacation resort has surprising elevation changes, numerous water hazards, white sand bunkers, and rolling hills. A spectacular cascading waterfall awaits every golfer as they approach their final shot at the 18th hole. Furthermore, this course has five sets of tees; red, gold, white, blue, and black which allow players of different skill levels to enjoy their rounds. The Ocean Ridge Golf – Leopard’s Chase course’s various amenities including the bar, driving range, restaurant, showers, PGA teaching professionals, pull carts, and snack shops are available for players. Large practice areas make it perfect for beginners to harness their shot making skills. Senior citizens can also claim their discounts when booking tee times. In addition, various golf vacation packages are being offered to members and non-members of the club. 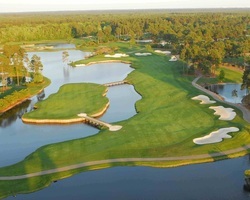 Opened in 1973, the Myrtle Beach National – West Course was designed by Arnold Palmer and Francis Duane. Among the most beautiful courses in Myrtle Beach, the West Course is the most challenging yet driver friendly of them all. Different sets of tees make this possible as golfers can choose to start on regular tees or back tees with more dog legs and hazards making every golf trip count. 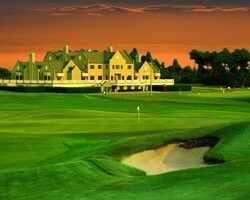 Golf Digest ranked this course with 4.5 stars Best Places to Play in 2010. The forest of stately pines border the course and the natural vegetation is preserve in order to allow golfers feel closer to nature. The Myrtle Beach National – West Course has MiniVerde UltraDwarf greens, wide fairways, various sand bunkers, and lesser water hazards. Kids with paid adults can play for free and have the same perfect golf vacation experience they ought to have. Breath-taking views greet the players warmly as they make their way from hole to hole. A large driving range also offers convenience to the golfers aside from the portable food and beverage carts. The Bar & Grill serves sumptuous meals for hungry players while other amenities satisfy the other needs of the golfers. Harboring a par 72 with 6,866 yards layout, the Myrtle Beach National – West Course has an open guest policy and year round golf season. Metal spikes are allowed and players can just rent clubs and carts on the resort. For those who wanted to buy new gears, they can also visit the pro shop. Lastly, affordable golf vacation package deals are being offered by the management which includes the Prime Time Signature Package. Redesigned by Arnold Palmer, the Myrtle Beach National – King’s North resort has been ranked among the Top 100 For Women by Golf for Women Magazine and America’s Top 10 New Upscale Courses by Golf Digest. Worthy of its silver anniversary, this resort has been serving their valued clients for 25 years. This golf vacation destination is also named as South Carolina’s Course of the Year in 1997 by the National Golf Course Owners Association. Furthermore, the book “The 100 Greatest Holes along the Grand Stand” which is published by The Sun News includes King’s North’s holes # 6, 14, 16, and 18. Having the par 3 third hole as a signature hole, the Myrtle Beach National – King’s North is famous for its island green with white sand bunkers shaped like the letters “SC”, initials of South Carolina. Arnold Palmer reconstructed the course in 1996 by moving over 7,000 azaleas and 400,000 cubic yards of dirt. This new golf vacation resort was formed by transferring over 600 hardwood trees and enlarging bunkers, lakes, and greens. Palmer also planted Crenshaw bent grass on greens thus creating the finest course ever built in Grand Stand King’s North. The 6th hole famous as “The Gambler” features risk-reward short cut opportunities. The challenging 18th hole named “The Bull’s Eye” by Golf Magazine features over 40 sand bunkers making it difficult for golfer to finish their rounds. Aside from the exciting course, the Myrtle Beach National – King’s North also offers various amenities. Kids accompanied by paid adults can play golf for free. Various golf vacation packages are also being offered to help clients save a little money from their trips. Famously known as the East Coast’s greatest challenge, the Legends Resort – Moorland Course is located within the heart of Myrtle Beach, South Carolina. This resort is designed by P.B. Dye and opened to the public in 1990. During this year, this golf vacation destination is included in Golf Digest’s Top 10 New Courses in 1990. This par 72 championship course has large scopes of natural vegetation, white sand bunkers, and water hazards which provide the greatest challenge when combined with surprising undulations and bulkheads. Inspired by the PGA West Stadium Course design, this course is definitely worth every client’s time and money. In 2007, the Legends Resort – Moorland Course is awarded the 37th place in the Top 50 Toughest Courses in America by Golf Digest. Aside from that, the Zagat Survey also ranked this course in America’s Top Golf Courses in 2003 and 2009. For visitors who wanted to enjoy playing golf at the same time learning more about the sport, this golf vacation resort offers PGA professional classes and assistance. These classes utilize state-of-the-art teaching methods which include high speed video analysis, proven techniques, and sound fundamentals necessary for beginners to start enjoying every trip they will have. Lastly, the Legends Resort – Moorland Course offers different packages for their visitors aside from various amenities they can already enjoy. These packages can help guests save a lot of money specially if they book their tee times ahead of time and with a group or family. Golf vacation packages can be availed through the Legend’s website which includes 3 rounds special packages and 5 FORE 4 special packages. As a par 72 course design by Tom Doak, the Legends Resort – Heathland exhibits the grand Old Country theme of traditional golf courses. Carefully molded in the image of British Isles courses, this golf vacation resort doesn’t harbor high vegetation to provide a clear vision representation of the holes. The breeze that wafts constantly all throughout the course is the main challenge among golfers of any level. Strategically placed white sand bunkers and water hazards also add to the difficulty of every round. Furthermore, lush roughs and deep greens require players to carry out creative shots to finish their rounds. Included in the Top 10 New Resort Courses in the World in 1990 by Golf Magazine, the Legends Resort – Heathland allows players to “step back in time” as they walk from hole to hole. Breath-taking scenery awaits visitors, players, and spectators making it worth every penny spent on a golf trip. Outlined by the natural hazards of nature, this resort has spacious fairways, meandering streams, and tall fescue grasses. Surprising undulations take players into a very exciting and challenging round of golf to remember for the years to come. A good golf resort is not perfect unless it offers competitive golf vacation package deals to help their clients save a little of their money every time they want to have fun. The Legends 3 Round Special is a package available only in selected dates posted on their website. The Legends Resort – Heathland purposely offer this package for group, family, and corporate events. It’s three courses, two restaurants, three pools, and the best practice facility in the east coast are solely for their client’s luxury and enjoyment. Inspired by the philosophy of Greg Norman’s “bump and run” shots around the green, the Barefoot Resort – Norman Course is said to be the most difficult course compared to its other Barefoot sisters. This resort highlights seven holes placed along the intracoastal waterway of Barefoot while the natural vegetation enhances the hole’s beauty. This golf vacation resort’s fairways running up to the sand and open green complexes present a stunning challenge to golfers of any level. In addition, the course has a touch of desert-style design without a desert. The Barefoot Resort – Norman Course has a hole with fairways which flow to the native areas around the course while other holes have fairways which transition roughly to the native areas. With par 72 layout that extends up to 7,200 yards approximately, this golf vacation destination is worth every penny spent by the visitors. Gently undulating greens have Champion Ultra Dwarf grass while tees and fairways consist of GN-1 hybrid turf, by Greg Norman Turf itself. Sloping white faces describe the sand bunkers which are placed strategically to challenge even the finest golfer. Various golf vacation packages are being offered by Barefoot to their regular and first-time visitors. The famous package of Buy 3 and Get the 4th One Free is perfect for golfers who wanted to spend their whole day playing golf. This way, they can save money on their fourth round and even bigger money can be saved if visitors are in a group or family. The Barefoot Resort – Norman Course also offers summer and fall packages with varying rates on peak seasons and midweek booking. 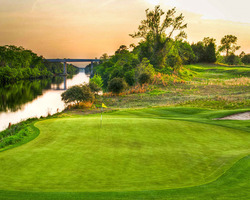 Among the Barefoot’s “fantastic four” courses, the Barefoot Resort – Fazio Course is the most unique and challenging course. Designed by Tom Fazio, this course does not route back to the clubhouse after the 9th hole. Instead, this golf vacation course exhibits a low country characteristic with lots of water hazards, sand bunkers, as well as natural and man-made elevation changes. 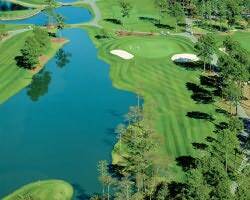 Ranked within the Top 15 Best You Can Play in SC by Golfweek, this par 71 golf course extends up to 6,834 yards. Live oak, pines, and environmentally protected areas framed the course and made it a paradise for every golfer. A GN-1 hybrid turf is chosen for Fazio’s fairways while Tifsport Bermuda grass is chosen for approaches. Champion ultra Dwarf greens perfectly complement the course’s traditional and low country style. 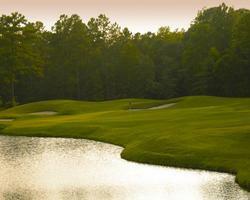 The Barefoot Resort – Fazio Course has a course rating of 73.7 and slope rating of 139. This golf vacation destination offers various amenities including practice facilities with full driving range. Practice chipping and putting greens allow novice players to harness their skills before entering the field while advance players utilize it for their warm up. Aside from the clubhouse which offers sumptuous meals, the Barefoot Resort – Fazio Course also renders competitive golf vacation packages for their valued clients. By availing for packages, visitors can save money on their accommodation and can even avail on discounts for items sold at the pro shop. Guests are encouraged to book their tee times a head of time and possibly on off-peak season as the rates are lower compared to peak seasons.